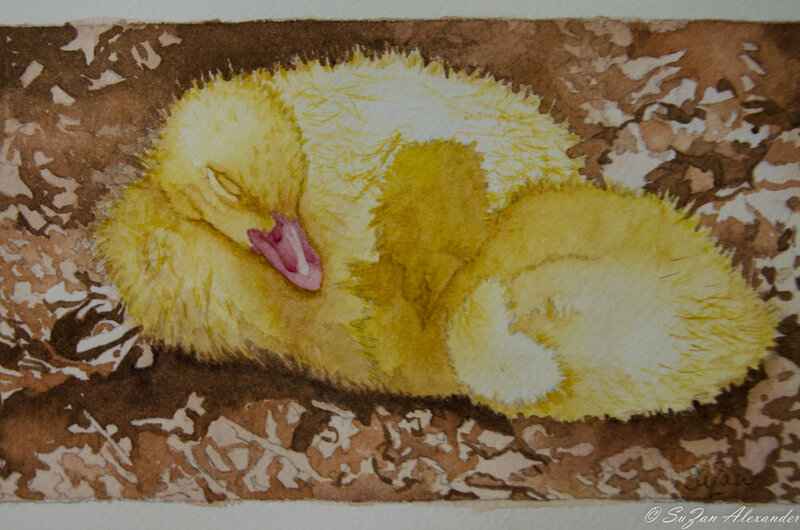 Project 5 from Step-By-Step Guide to Painting Realistic Water Colors by Dawn McLeod Heim is Snuggling Ducklings. This project is a lesson focusing on how to imitate the soft look of feathers and the texture of wood shavings. ‘Nuff said. On to the next project; and the REAL reason I was interested in this book. Come back next Thursday to take a peek.